Social Jukebox which has been created by designer Andrew Pairman, brings the enjoyment of an old style jukebox into the digital age using RFID tags and connections to online streaming music services. The RFID tags are inserted into the Social Jukebox and then connects to your Spotify account, selecting a random song from one of your Spotify playlists. Watch the video after the jump to see the Social Jukebox concept in action. 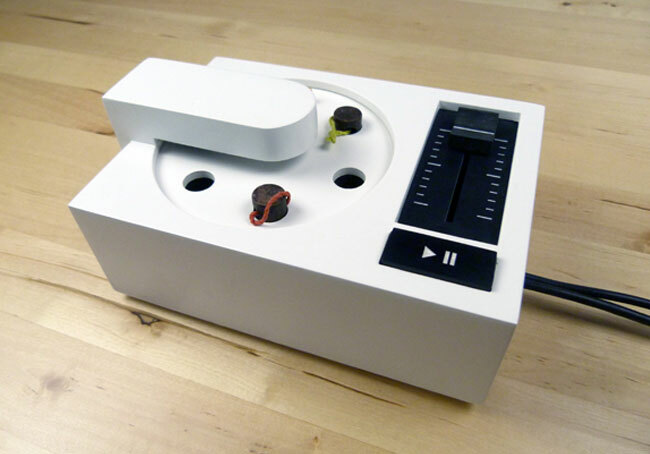 The Social Jukebox has been created using a Arduino-powered music player, which enables users to embed music onto the wooden RFID tags, which are then inserted into holes on the device. Unfortunately due to the Social Jukebox being just a concept at the moment its now available to buy commercially, but it could be a great project to start on Kickstarter or other crowd funding websites, to make the jump from concept to production.